With industrial parquet manufacturing, fine wood flooring became affordable and available to anyone. The LD-MRS laser scanner from SICK connected to the drone demonstrates a very large working range of 300 metres despite its lightweight design. Safety is a basic human need. Reliable protective devices integrated into work processes are therefore essential these days. Operators and maintenance personnel must be able to rely on the safety of a machine. It is often said, that more safety results in lower productivity – but the opposite is, in fact, the case. Safety can certainly be reconciled with high rates of productivity, and more than that, it can even have a positive influence on them. It should also not be forgotten that high levels of safety result in increased motivation and satisfaction and, as a result, also contribute to the success of the company. 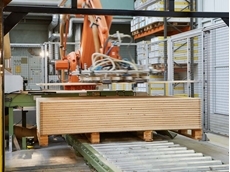 The requirements on the safeguarding of machinery have changed more and more with the increasing use of automation. In the past, protective devices in the work process were something of a nuisance; for this reason, they were often not used at all. Innovative technology has enabled protective devices to be integrated into the work process. As a result, they are no longer a hindrance for the operator. Safe machinery provides legal protection for both manufacturer and user. Machine users expect to be offered only safe machinery or devices. This expectation is held across the globe, and it is for this reason that there are regulations on the protection of operators of machinery worldwide. These regulations are subject to regional variations. However, there is broad consensus that industrial protection is an issue that needs to be dealt with efficiently. SICK is now embarking on a new era concerning safety. With the microScan3, SICK is presenting the new generation of safety laser scanners. 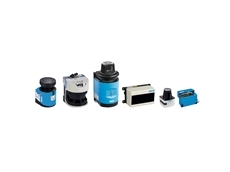 They satisfy stringent international safety standards and provide reliable protection for hazardous areas, access points, and hazardous points. Every single detail has been completely revised to satisfy customer requirements in the best way possible. The microScan3 is exceptionally reliable. Its rugged design makes it perfectly suited for use in harsh industrial day-to-day work. The safety laser scanner is extremely resilient and boasts a long service life – a factor that also enhances productivity. The bracket with integrated guide rails means that the scanner can be attached and adjusted with ultimate ease. Thanks to the proven light-metal die-cast housing, microScan3 achieves a high level of mechanical resistance. Important diagnostic notifications can be viewed immediately on the multi-colour display and additional information can be called up using the pushbuttons. The new Safety Designer configuration and diagnostic software make configuring and commissioning the system extremely easy. Thanks to the use of smart connection technology and standardised M12 plug connectors, the microScan3's cabling is not just simple – it also saves on connection costs. The device can also be replaced quickly and conveniently thanks to the integrated configuration memory in the system plug. Safety laser scanners operate based on the time-of-flight measurement principle of operation and measure distances safely and reliably. With time-of-flight measurement, the sensor emits a pulse beam which the object to be detected (e.g., a person approaching the sensor) reflects. The time that the beam requires to make this journey is evaluated and the distance to the object calculated. If a person is in the hazardous area, the safety laser scanner sends a stop signal to the machine. 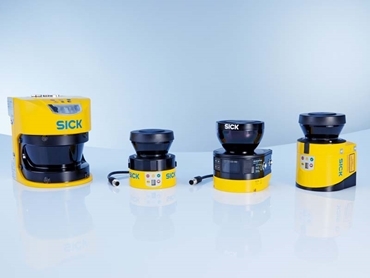 With the innovative safeHDDMTM scanning technology, SICK is making a technological leap with its safety laser scanners and is setting new standards. safeHDDMTM is based on SICK's proven HDDM measurement principle (HDDM = high definition distance measurement). With its unique approach, this scanning technology is setting the trend for the reliable evaluation of time-of-flight measurement. This method patented by SICK carries out intelligent filtering and evaluation of the many individual pulses to deliver a measurement result that has never been seen before for safety laser scanners. This is what ensures safeHDDMTM is and remains safe. Even a very dark object with just 1.8 percent remission, e.g., black clothing, is reliably detected. safeHDDMTM combines a compact design and large scanning range in one device. Even under the most challenging of conditions, the patented measurement principle maintains clear sight and enables exceptional performance data. It can scan 275 degrees, and the protective field has a scanning range of 5.5 meters. With safeHDDMTM, microScan3 is considerably more reliable than standard measurement methods – in ambient light, dirt, and dust. It has a wide range of applications: It protects hazardous areas at loading and unloading stations, multi-sided access points to machines and material gates, machines in harsh environments, as well as hazardous points with an object resolution of up to 30 mm. What's more, it also guarantees presence detection to prevent machines from being restarted inadvertently. The safety laser scanner is extremely adaptable and attuned to different ambient conditions. Protecting hazardous areas, therefore, doesn't require any changes to work processes. The sensor is extremely easy to commission, and there is no need for special preparatory work when installing it in the system. What's more, it is straightforward to align, as the sender and receiver units are accommodated in one device. As the technological and market leader for safety laser scanners, SICK has over twenty years of experience and can look back on a catalogue of countless applications which have been successfully solved with laser scanners. 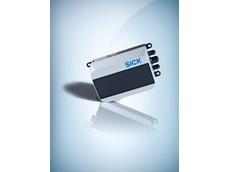 SICK sets trends and develops safety systems to meet market requirements. But what is the outlook for the safety technology of the future against the backdrop of industry 4.0? 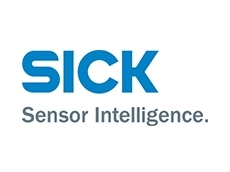 SICK aims to continue to offer outstanding customer benefits in the future. Concerning safety technology, this will be shown in two important points: fast commissioning and significantly faster system effectiveness and continuous production, and thus higher system efficiency. Yet, increased productivity and system effectiveness apart, the safety technology of the future should make the way we work easier and safer. The essential driver in achieving this aim is the interaction of people and machines while taking into account workplace ergonomics and safety. The central questions here are what role people are to play in the production of the future and how sensors can support and keep them safe in that role. Because autonomous machines require new safety concepts that are optimised for the more flexible production methods. These include the protection of every process step along a production line to deal with man/machine interactions, which are now significantly less susceptible to planning. In all of these approaches and solutions, of course, the safety of people is a priority. The safety aspect must also cover an adaptive approach to the production environment, such that the safety solutions themselves are flexible and responsive. Intelligent, rugged, and reliable sensors are therefore essential when it comes to meeting the challenges of industry 4.0. The networking between sensor and machine is set to become more and more important. SICK intends not just to follow these trends, but also to play a key role in shaping them. 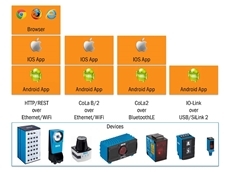 Based on a high-performance platform, the microScan3 product family is constantly being developed: The intelligence and networkability of the microScan3 will be the driving forces for innovative safety solutions in the industry 4.0 environment.